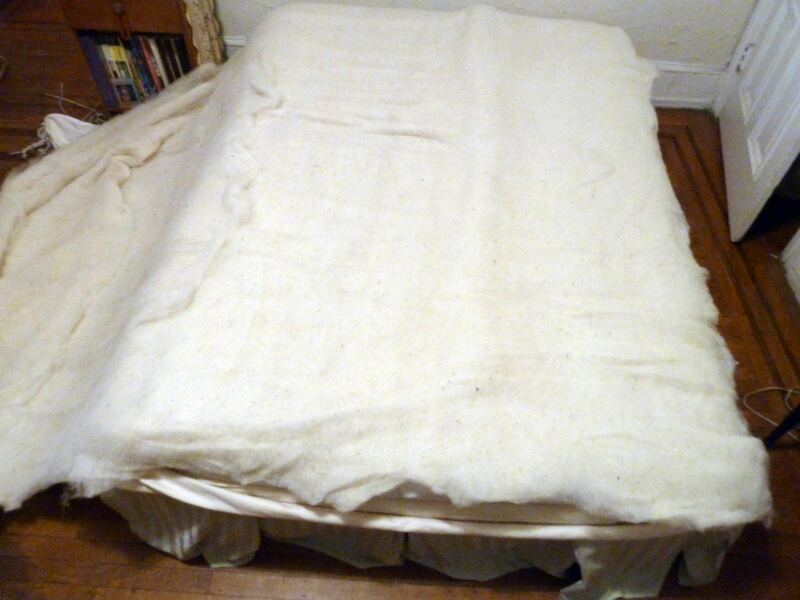 For the first layer, I used a wool mattress pad that I had for a few years. Next I used two layers of your wool batting and put the buckwheat hull pillow inserts I made on top of the wool batting. 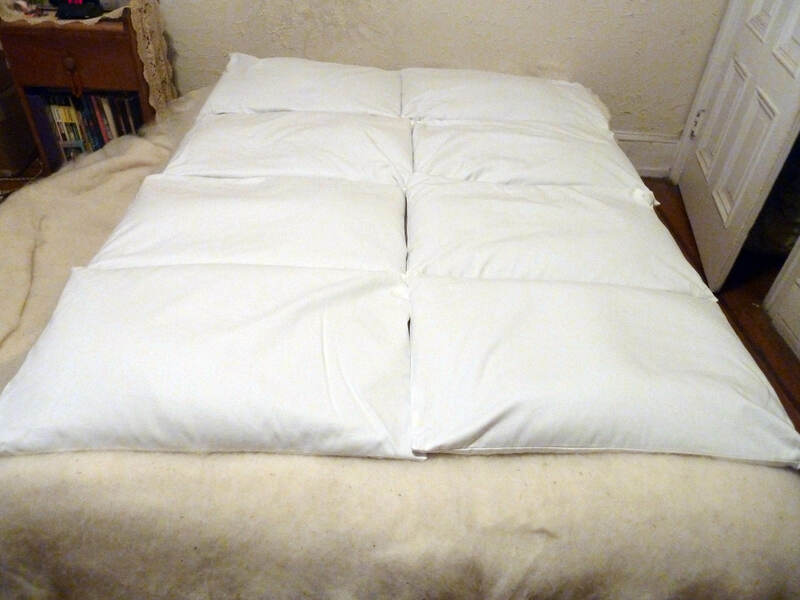 I made the pillow inserts out of organic cotton twill. 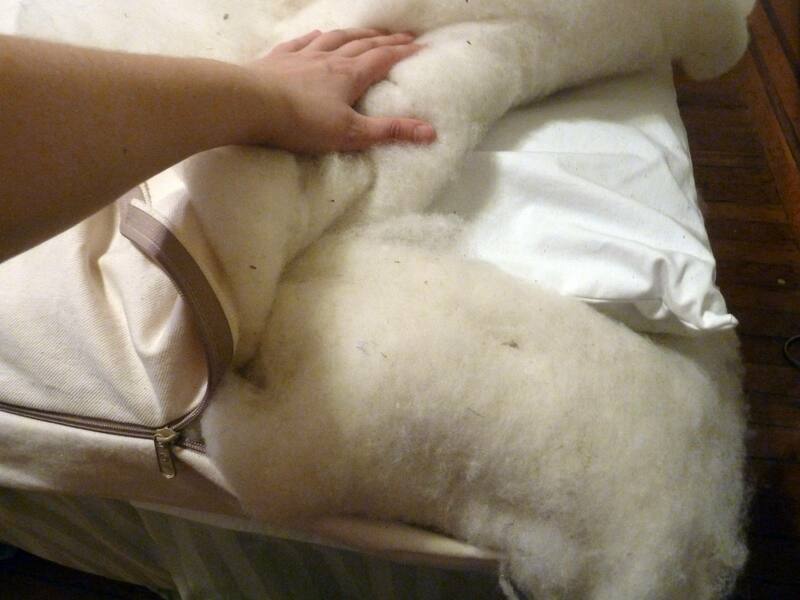 Then I pulled the two layers of wool batting on top to cover the pillow inserts. Finally I zipped it all up and was done! It came out pretty well, I think. 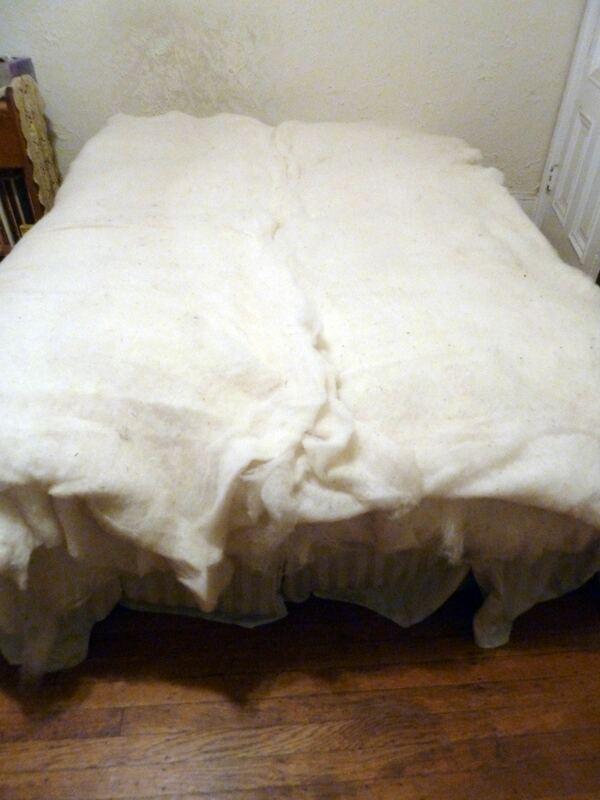 I’m going to see what it’s like sleeping on it for a while and might decide to add more wool batting at some point. UPDATE: After sleeping on it for a few nights, I ended up putting the buckwheat hull pillows on top of the layers of wool batting. That seems to work better somehow. I think it makes the buckwheat pillows a little more adjustable. It’s very comfortable now although I still might add more layers of wool batting at some point. – L. G.
Previous post: I couldn’t be more happy! What size bed did you make any how many pounds of buckwheat? Also how is the bed now? This combo was made by a customer who is not around to answer your questions. I can, however, recommend stopping by Open Your Eyes Bedding’s website for quantities of buckwheat hulls if our millet hulls haven’t caught your interest. 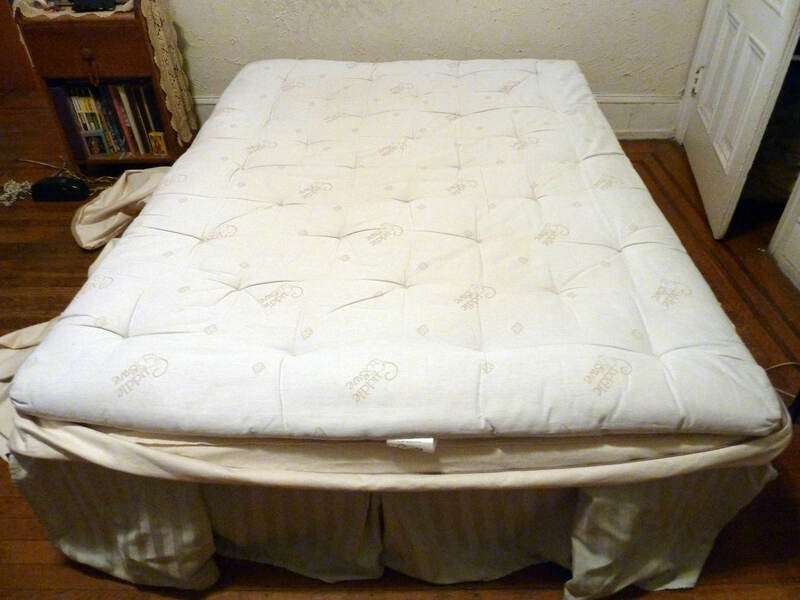 Hi there- I’m the customer who made this mattress and didn’t see this post until now- a year later! I figured that I’ll answer the questions in case anyone else stumbles across this in the future and wants the information. I made a double size mattress using the standard double sized zippered ticking from DIY Natural Bedding. I started with about 8 3/4 pounds of buckwheat hulls per mattress pillow insert. After a few weeks it seemed a little flat to me so I added an additional 4 pounds of buckwheat hulls per mattress pillow insert. It’s 105 pounds total of buckwheat hulls. This is a nice amount of filling. Although that sounds very heavy, it is very manageable. 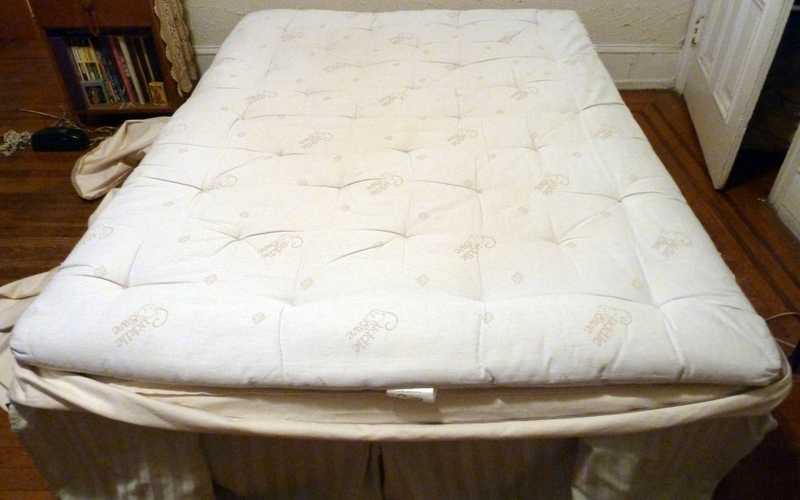 Generally when I change the sheets, I unzip the ticking and fluff up the inserts. I don’t mind the small amount of maintenance it takes in order to have a truly natural mattress. I also decided to go back to my original design and sandwiched the mattress pillow inserts in between the wool batting. 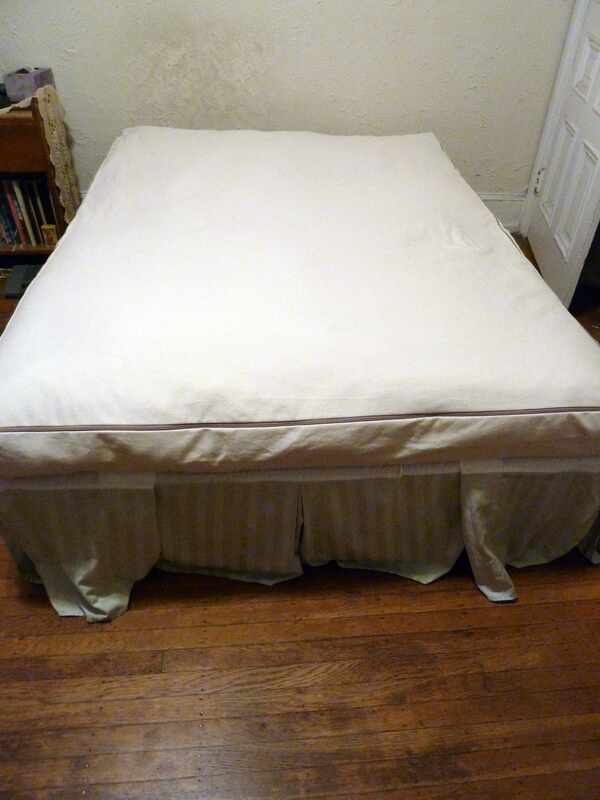 This is what is so great about making your own mattress, you can really customize it to your own needs. I’m still considering adding additional wool batting at some point. Overall I love my mattress and sleep really well on it.